Welcome back to the 2018 Scarf of the Month Club! I am so excited to share my newest cowl pattern with you. My pattern contribution is a warm, soft, squishy cowl made with Sublime Lola yarn. This cowl is perfect for fall or winter and is perfectly chunky! Scroll down to check out the FREE crochet pattern for my Lola Cowl. Make sure to also read my review of this gorgeous Sublime Lola yarn! I hope you enjoy it! Happy Crocheting! Join us for the September 2018 scarf patterns! Back by popular demand, Rhondda and I are hosting the Scarf of the Month Club CAL in 2018. We will each have a new free scarf/cowl/neckwarmer pattern on our blogs each month, for 12 months! Plus, we will have 12 amazing designers that will be joining us and will each be contributing a new free crochet scarf pattern as well! If you want to know more about the Scarf of the Month Club CAL, including the schedule, please visit this intro post. If you would like to share your progress, please feel free to add your Ravelry Project Pages for each of the scarves you make! Each pattern post will include a specific pattern link to Ravelry so you can add your own project. Rhondda has put together a great tutorial on how to add projects to Ravelry, which you can find here. We would also love to see your projects on Instagram! Tag us on Instagram at @thestitchinmommy and/or @oombawkadesigncrochet and use the hashtag #ScarfoftheMonthClub2018 to share your progress with us! Also, check out our Crochet With Us Group and The Stitchin’ Mommy Crochet Community, on Facebook, where can share your progress, ask questions, and get help with the patterns from this CAL! This post contains affiliate links. I do receive a commission if you make a purchase through my link(s), which helps support my blog and allows me to bring you more great posts! I also received complimentary skeins of yarn used in this pattern, from LoveKnitting, to be used in my design. I was not financially compensated to use this products in my post. I recently received some gorgeous Sublime Yarns Lola yarn from LoveKnitting and I absolutely could not wait to use it! The yarn is so soft and just a dream to work with. It glided along my hook with ease. A lot of super chunky or super bulky yarns snag on my hooks but I had minimal snagging with this yarn. It really was amazing to work with and I love the end result of my cowl. The colors were beautiful pastel shades that I really adored. When I selected the Wall Flower colorway, I thought it was more of a gray. I was pleasantly surprised to see that it was more of a light lavender shade. It matched perfectly with the blush pink I had chosen. Lola comes in 14 gorgeous shades, with mostly pastel colors. There are a few bright, bold colors that you can throw into your project for some extra fun. Care Instructions: Hand Wash in Cold Water. Wash Dark colors separately. Lay Flat to Dry. Reshape while wet. Do not iron. 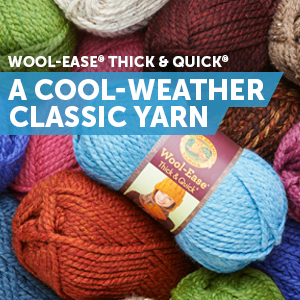 I hope you give this beautiful yarn a try! I really enjoyed making my cowl with it and I really can’t wait to order some more for future projects. Sizing will vary depending on how tightly or loosely you crochet. Gauge is not necessary for this pattern but if you would like to keep the sizing the same, please check your gauge before starting this project. This project is worked flat and then seamed at the ends to create a cowl. Bring the ends of the cowl together so that the first row meets the last row. Using yarn needle, whip stitch the ends together to form the cowl. You may NOT create PDFs of the patterns found on this site, altered or in its original form, for intent to distribute to others or post on illegal pattern sharing sites. The revenue earned by ad traffic to this site is what allows for free patterns to be written and published. Without people visiting this site to view the patterns, there will be no traffic which means, no more free patterns.